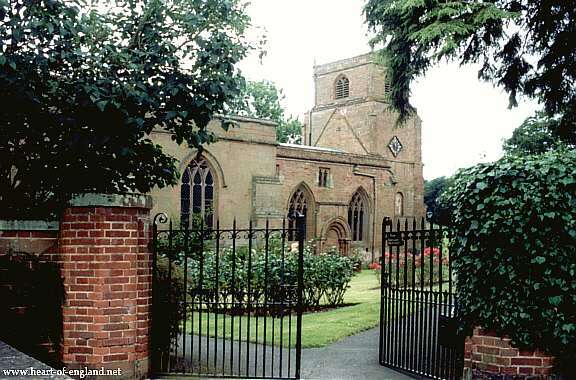 Stoneleigh, Warwickshire, is a small village situated where the River Sowe joins the Avon, about 14 miles upstream from Stratford. 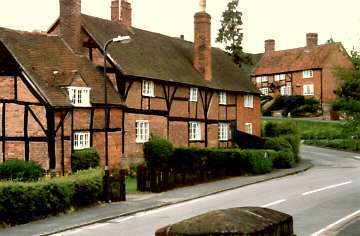 Stoneleigh was one of the earliest areas of settlement in Warwickshire. 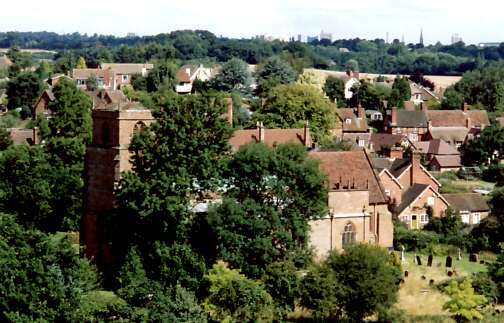 The pride of Stoneleigh Village is its Norman Church, the Church of St Mary The Virgin. In its carved tympanum are two serpents coiled around each other, and two great beasts one eating its own tail, which is the ancient depiction of eternal life. The chancel is of noble Norman architecture. The arch is nearly 5 feet thick, and shows carvings of a serpent and a dove. The church has a mortuary chapel for the Leighs. In the chancel is a marble carving, and the tomb, of Alice Leigh, the most famous, and said to be the most generous, woman in England during her lifetime. She was married to Sir Robert Dudley, son of the Earl of Leicester, heir to Kenilworth Castle. On his fathers death he tried to establish himself as both Earl of Leicester and Warwick. This failed and he left his wife for Italy, taking with him the beautiful Elizabeth Southwell, maid-of-honour to the Queen. Alice Leigh found consolation devoting herself to good works, and to the cause of Charles I. She was responsible for building the almshouse in Stoneleigh village. She was created the Duchess of Dudley, by Charles I, in 1645. Her statue and tomb, in white and in black marble, were created many years before her own death by Nicholas Stone, the great master of English tomb making. 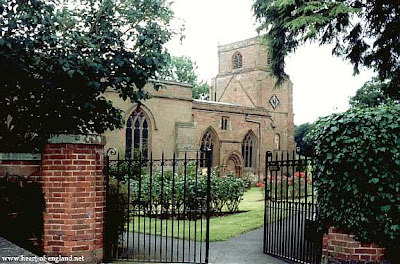 The picture below shows Stoneleigh Church, with behind it, the village of Stoneleigh. Visible on the horizon, towards the right, are the spires of the City of Coventry, 5 miles away. 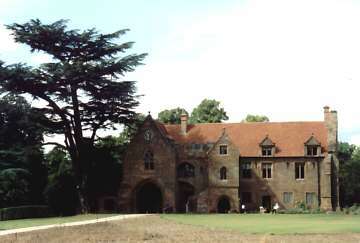 Stoneleigh Abbey was founded by Cistercian monks in 1154 on a secluded site close to the meandering River Avon. Shown right is the Abbot's House, built in 1346 and one of the finest examples of medieval architecture in the country. The building subsequently became, and now is, the Abbey Gatehouse. The abbey was purchased in 1538 by Henry VIII's brother in law. In 1561 the abbey was sold to two London merchants, Sir Rowland Hill and Sir Thomas Leigh. Sir Thomas Leigh was Lord Mayor of London in the year of Queen Elizabeth I's accession, and was himself knighted by her. Sir Thomas Leigh died in 1571, but his widow survived until 1603, giving her name to the almshouses in the nearby village. Her son was responsible for rebuilding parts of the abbey, and by 1626 had many richly furnished rooms. This work continued under his grandson, another Thomas, who was raised to the peerage as Lord Leigh for his loyalty to Charles I in 1643. Just before the outset of English Civil War, Charles I rode to Coventry in anticipation of securing the commercial centre of Coventry, but the city closed its gates to him, and he was received by Lord Leigh at Stoneleigh. 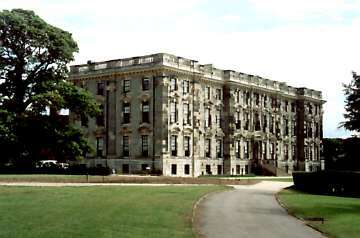 Stoneleigh Abbey is the largest house in Warwickshire. The impressive facade of the West Wing, shown in these pictures, was designed by Francis Smith of Warwick and dates from 1726. Part of the house was damaged by fire in 1960. 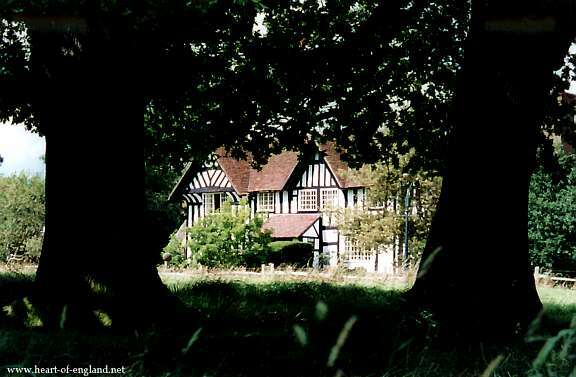 In 1988 the ownership of the house passed from the current Lord Leigh to the Stoneleigh Abbey Preservation Trust. 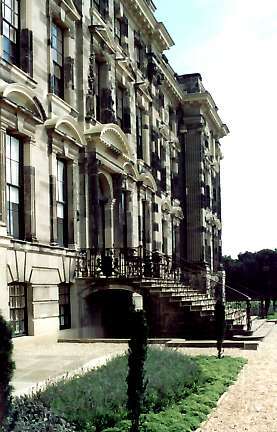 Stoneleigh Abbey has undergone substantial restoration during the past four years. The main structural restoration is complete, though some internal refurbishment is continuing, and restoration of the grounds is still to take place. The 2nd and 3rd floors, and the monastic quarters behind the West Wing, have been converted to modern private appartments. The state rooms on the ground floor are in the process of being restored for public viewing. 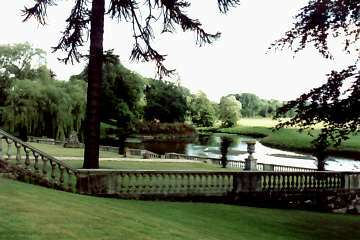 Stoneleigh Abbey, as it is now open to the public, reflects the abbey during the ownership of the Leigh family during the 18th century. There is not very much to see of the original monastic buildings. 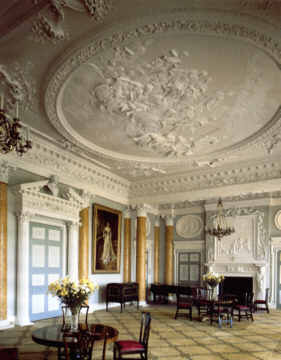 Many of the state rooms have oak and walnut panneling and resemble a bit those at Warwick Castle, though not so opulently furnished. In constrast to the other state rooms, the saloon (shown right) has a light and open feel. The ceiling decorations in the saloon, by Cipriani, depict the gods of Greek mythology receiving Hercules, and medallions on the walls show the Labours of Hercules. On a panel over a mantelpiece (visible at the right of the picture) Hercules is leaning on his spear making his choice between Pallas and Aphrodite. The room is presently unfurnished (not as in this photo), though the ornate ceiling, and the mural decorations depicting the labours of Hercules, are in perfect condition. The ceiling decoration has a remarkable 3-dimensional construction, the hands and limbs of the figures stretch out several inches, away from the ceiling towards the viewer. There is also a remarkable library fully stacked with the generations of books acquired by the Leigh family. The library has been famous for its possession of the four Folio Shakespeares, and the portrait and relics of Byron. "Stoneleigh Abbey has a perfect setting of trees against a wide expanse of lawn, and it has great architectural interest too. 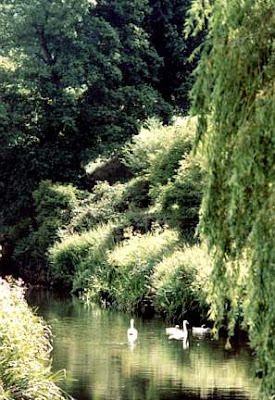 At the end of shady walks, down by noble trees, the Avon broadens to a pool and gathers itself to surge over a weir. 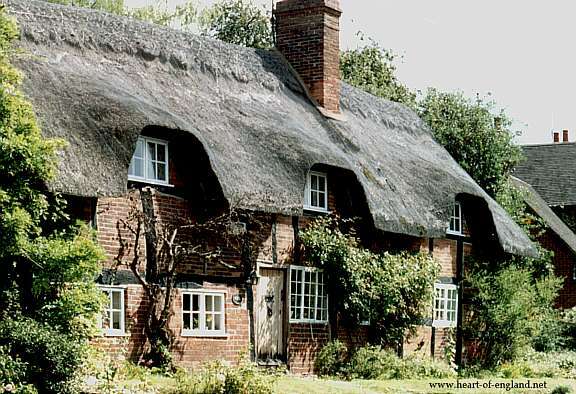 It is a place of unforgettable beauty at the very heart of England."